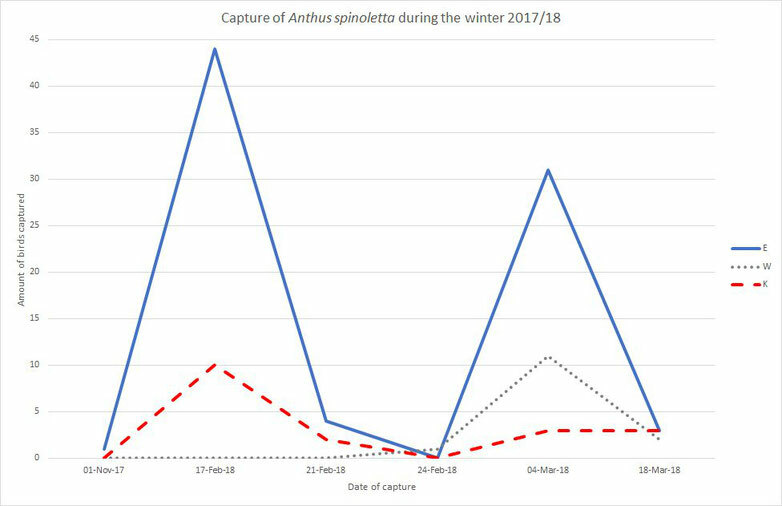 This is a recapitulation of the waterpipit project this winter 2017/18. You can find more information about the project here. 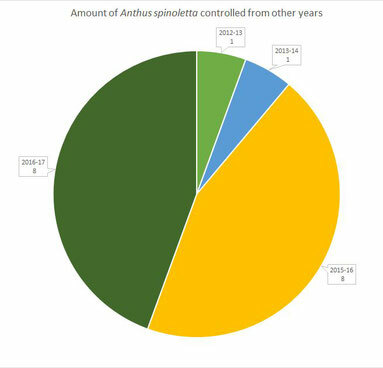 In total, we caught 115 Anthus spinoletta this winter . 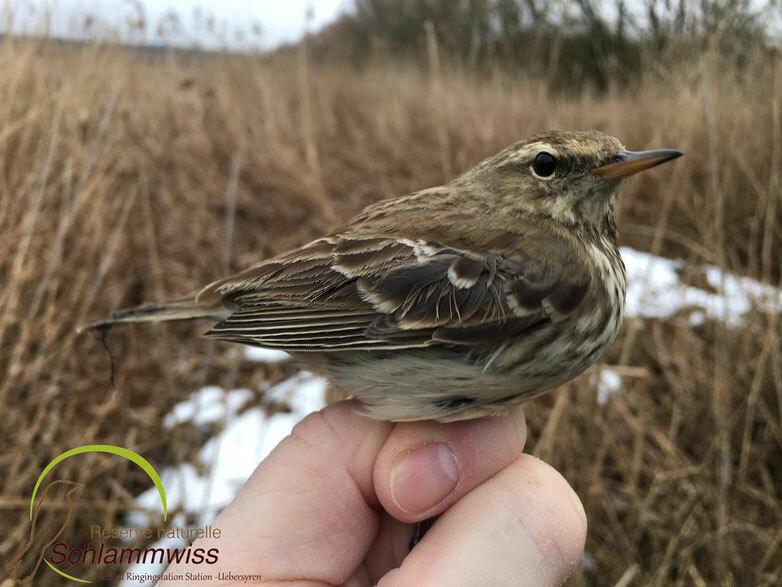 This is the second highest number of this species capured at the birdringingstation "Schlammwiss" since 2000. The highest number was with 117 captures in 2015/16. 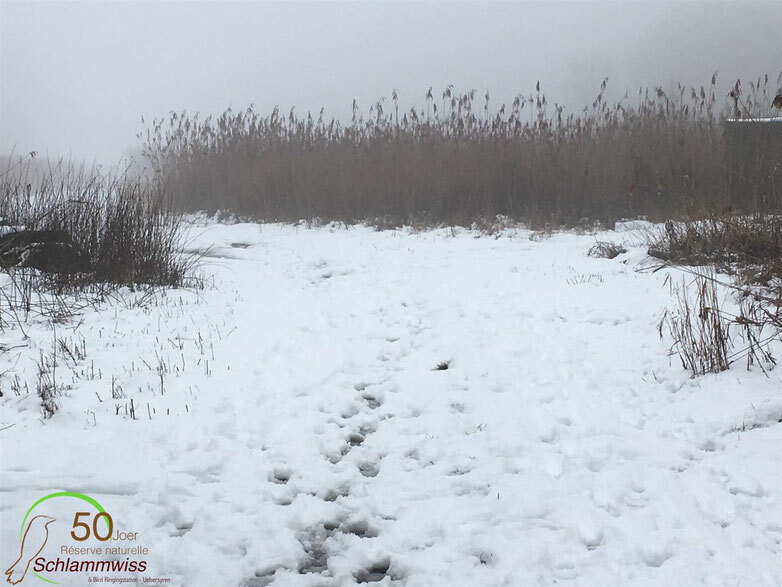 Grafic above: About 72,2% of the birds this winter were captured for the first time (E) and 15,7% are controlled birds that were ringed the years before (K). Furthermore, we recaptured 14 of those birds again this winter (W). 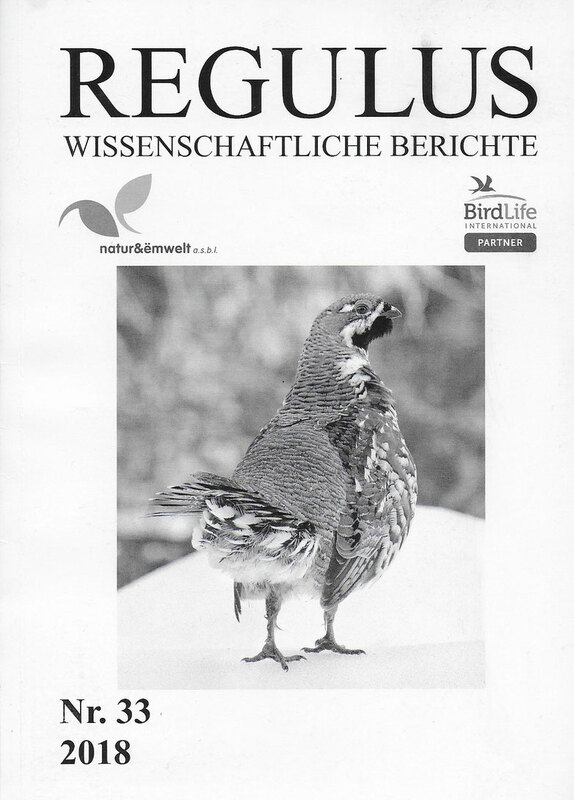 Grafic right: The majority of controlled birds (K) were ringed last winter 2016/17 and 2015/16. Furthermore, one individual was ringed 2013/14 and one 2012/13. This bird is older than five years. In summary, we have spent about 12 hours ringing, plus several hours of working on the site.